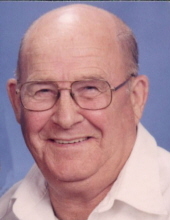 John Chilton Justice, 78, of Campbellsburg, Kentucky passed away on March 14, 2019, in Corydon, Indiana at the Indian Creek Healthcare Center. John was born on February 9, 1941, in Trimble County to the late Lawrence and Leona Sharp Justice. John was a farmer carefully tending the land. In his spare time, he enjoyed watching television. John leaves to mourn his passing his wife of 49 years Margaret Ethel Tiller Justice. His son John David Justice and his wife Courtney of Eminence, Kentucky and five grandchildren. His sister Wilma Moore of Milton, KY. He was preceded in death by his parents, one brother James L. Justice, two sisters; Bea Justice and Willina Adams. To send flowers or a remembrance gift to the family of John Chilton Justice, please visit our Tribute Store. "Email Address" would like to share the life celebration of John Chilton Justice. Click on the "link" to go to share a favorite memory or leave a condolence message for the family.